With swimsuit season around the corner, we thought it would be the perfect time to chat about bikini hair removal. Okay. we get it. It’s not our favourite topic either. In fact, it’s down right embarrassing! But the truth is that waxing or professional hair removal is something many women do; especially in the summer. 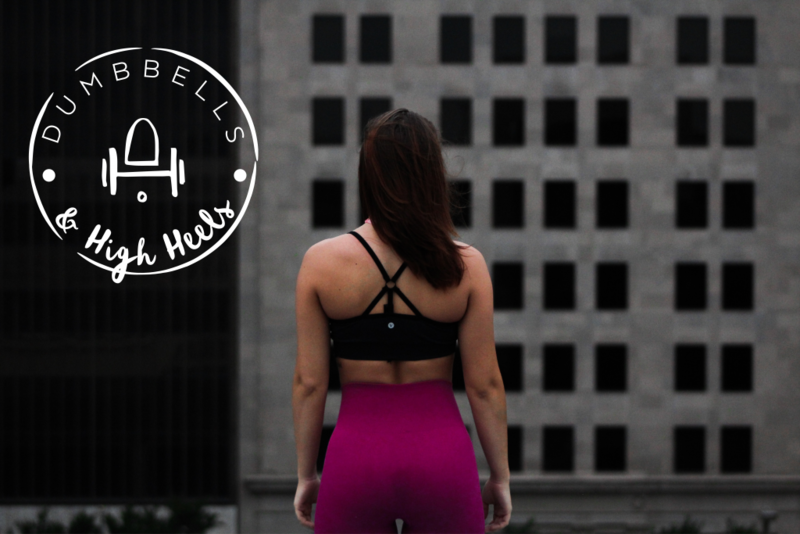 At Dumbbells & High Heels, our goal is to empower women to look and feel their best. And we believe a good bikini wax will do just that! With that said, we know some of you may be curious about hair removal, and perhaps, a bit terrified by the concept? So if this is you, you’re probably wondering: how much does it actually hurt? Here is the short answer: like anything that’s worthwhile, there will probably be some discomfort — no matter what. But it’s important to note that pain tolerance varies depending on several factors. What determines whether or not you will have a “pain-free” experience? A few weeks ago, our editor (Laura Jackson) said she had her very first “pain-free” bikini hair removal procedure. And she credits the aesthetician for the positive, “ouch-free” experience. It actually happened by accident. Laura showed up to her appointment to learn that she didn’t actually have a hair removal booked that day (unfortunately this happens from time to time when you book online and there is no human involved in the scheduling process). The receptionist gave her the next available appointment, which happened to be the following day with a different aesthetician. Since Laura was leaving for vacation a few days later, she was desperate to get an appointment. So she really wasn’t too concerned about who would be doing the service. When Laura arrived at the spa she was greeted by Annetta, the aesthetician. Typically, for hair removal appointments, you are taken to a small room with a table and given a pair of disposable underwear to put on. The aesthetician leaves the room and gives you a few moments to remove your clothing. You are asked to lay down and cover yourself with a small towel. Once the aesthetician re-enters the room, she will examine the area. Although Laura has had this procedure many times before, this was the first time she did not feel anything. So naturally, she wanted to know why. L: Ok. So tell me. What is your secret to a pain-free bikini hair removal? A: I think it has to do with my 27 years of experience. I worked in Europe where bikini waxing happens more frequently because of all the beaches.So I think it’s sheer numbers. L: How often should women have their bikini line waxed? A: It depends. In the summer, you obviously need to have it done more often because that area is exposed. But in the winter I say leave it for 8 weeks if you can. And avoid shaving if at all possible. You can use tweezers in between if you have to pluck out any stray hairs. L: How can you prepare your skin to achieve the best results? A: Exfoliate the area prior to your appointment and avoid shaving. L: What is the best after care? A: I recommend avoiding hot water for the first few days, sleeping without underwear and using finipil (an anti-septic cream used after hair removal) to prevent infections and soothe the skin. Also, avoid exercise 24 hours after your appointment. L: Are Brazilian waxes (full hair removal) common? A: Absolutely! I have many regular clients who come in for Brazilian waxing year round. L: How much does it hurt? A: Honestly, not that much when the client helps by stretching/holding their skin in a certain way. I show my clients how to do this and it helps a lot. L: Is it true that you will have less hair if you wax year round? A: No. Not exactly. However, if you are consistent, your hair will become finer which means it should hurt less. L: You have a unique job. Do you ever get grossed out? A: Honestly, I’ve seen it all. And we are all women so it really doesn’t bother me. My goal is to make my clients feel comfortable. There are different types of hair removal formulas. Laura’s aesthetician at the Old Mill Spa in Toronto uses Nufree, which is a type of wax that does not adhere to the skin, making it less painful. In fact, Nu Free was originally created for pre-surgical hair removal. Other common techniques are waxing and sugaring. If you are really sensitive, you can apply a numbing cream to the area 30 minutes prior to treatment. Some salons actually sell this. We love this one. Just be sure to ask the aesthetician if this is ok. If you currently shave your bikini line, no problem. However, you may need to allow the hair to grow for 6-8 weeks so that it is all on the same growth cycle. This will ensure your hair grows back at the same time. If you do get some stray hairs, use tweezers and avoid using a razor. Once you get through your first appointment, you will likely fall in love with your smooth, bump-free bikini-line that will be free of hair for several weeks at a time. It’s one less thing to worry about in the shower and it’s super helpful on vacation. Some people believe hormones affect how much we feel pain. So if you are having any type of hair removal around your period, you may be extra sensitive. Do your homework. Make sure you go to a reputable place. It’s always a good idea to ask around. By the way, if you live in Toronto or you’re visiting the city, it would be worth your while to book a wax with Annetta at The Old Mill Spa. You won’t regret it! My friend does competitive swimming, so it’s very important for her to be hairless in many areas. It sounds like Nufree would be the best option, as it is less painful. It’s also really cool that it was originally created for pre-surgical hair removal. How can you tell which spas offer the Nufree as a waxing option? Thank you for your comment. Yes — Nufree is great. And way less painful! Most spas will tell you on their website. If not, you could always ask.